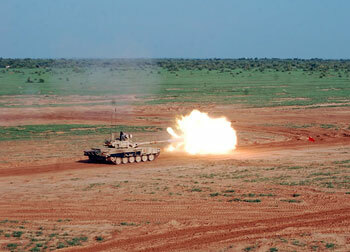 December 21, 2013: The Army's 36 Reorganised Army Plains Division (RAPID), part of the Bhopal-based 21 Strike Corps has successfully validated a slew of new warfighting concepts in Exercise Shahbaaz Ajay in the Thar Desert. The formation "refined existing battle procedures as prevalent in the 21st century battlefield milieu," the Army said in a statement. The high-level exercise saw 15,000 troops and over 100 tanks and armoured vehicles, including T-90 tanks. Artillery units and rocket regiments also took part. 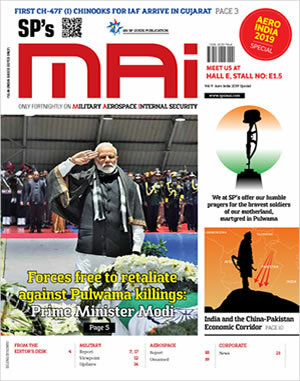 "A high degree of integration was achieved with the Indian Air Force while undertaking specialised operations which included an airborne assault and a special helicopter borne operation," said the Army. Two IAF C-130J aircraft conducted a low-level night flight simulating a dash into enemy airspace to deploy special forces commandos in a narrow drop zone. Army commander, Southern Command, Lt General Ashok Singh reviewed the exercise on one of the days. The Shahbaaz Ajay exercise is only one in what will be a series of manoeuvers through 2014 to validate fresh warfighting doctrinal concepts that envisage rapid deployment, backward integration of strike units and the deep integration of airborne assets in a border scenario.